Inverter Air Conditioners have been a very important purchase for a house especially if you are looking to save energy. There are a number of air conditioners available in Pakistan that claim to save upto 75% energy. However, there energy efficiency is not that significant. There are a number of factors to consider before buying an inverter air conditioner in order to make sure that they are the most energy efficient air conditioners in the market. Inverter air conditioners are available in 5 categories that include a 1 DC (Compressor Only), 2DC, 3DC, 4DC And 5DC Full Inverter Air Conditioners. The more the parts are dc the more efficient the system becomes. 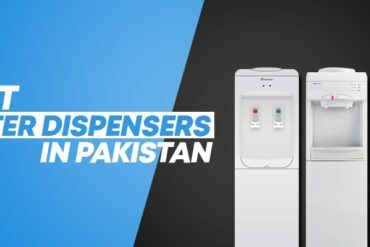 In Pakistan, 1 DC Units are the most common air conditioners that are available in the market and are also the most selling due to its price. However, they are not very energy efficient compared to a 4DC and 5DC rated full inverter air conditioner. Furthermore, there are also a number of other factors to consider before buying an inverter air conditioner including EER(Energy Efficiency Ratio), SEER (Seasonal Energy Efficiency Ratio), Room size and after sales service. Sharp Inverter Air Conditioners are definitely some of the most energy saving air conditioners out there. 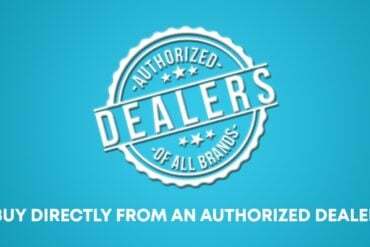 It is also one of the few brands in Imported Air Conditioners which have received the most positive feedback from our consumers. Samsung recently launched their all new 2018-2019 inverter air conditioner category with their NSF (AR5500M), Triangle and Windfree Series. Samsung Inverter Air Conditioners are equipped with world’s first digital inverter 8-pole technology which helps the system to be more energy efficient and reach the desired room temperature at a much faster pace compared to a conventional inverter ac. Furthermore, Samsung Air Conditioner comes with turbo mode, 3 care filter (protects from dust, bacteria and allergen), Auto clean and triple protection plus (low and high voltage control and rust protection). With one of the lowest complaint ratios, Samsung is definitely upping their game with their new inverter air conditioner which also makes it one of the best options to consider if you are looking for one of the highest rated energy efficient inverter air conditioners in the market right now. Kenwood recently launched their first 5DC rated full inverter air conditioner. With an EER OF 4.0, Kenwood Smart Inverter Air Conditioner has features that were not available in any of their mid-range inverter air conditioners including 60% & 75% series. Kenwood Smart Inverter Air conditioner also comes with gold fin condenser that has been designed to withstand the extreme weather of Karachi where Air conditioners have a reputation of breakdown in just 1 year. Furthermore, it is also equipped with a T3 compressor which is designed to operate in 65 degrees. Daikin is arguably one of the best inverter ac in Pakistan money can buy. It’s one of the pioneers in air conditioning industry. Daikin is also the market leader in the corporate world. They were also the first company to introduce 5DC Full Inverter Air Conditioner which are 25% more energy efficient than a conventional inverter air conditioner. Recently, Daikin introduced R-32 in their inverter air conditioner which helps in conveying heat efficiently and can increase savings up to 10% compared to R22 refrigerant. 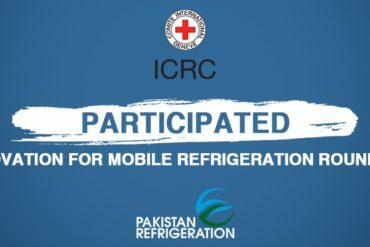 In addition, R-32 refrigerant has a much lower global warming potential and carbon foot print compared to the refrigerants widely being used today in Pakistan such as R-22 and R-410A. Daikin is definitely one of the best inverter air conditioner in terms of energy efficiency and durability. 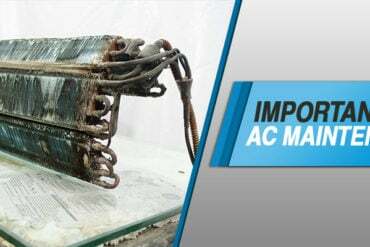 However, due to the cost Daikin is the most expensive inverter air conditioner with prices starting from PKR 100,000, but don’t let that sway your choice too much. With the recent success of Daikool in the corporate world, Aux-Daikool is now becoming a house hold name in Retail too. They recently launched their UCLC Series Full Inverter Air Conditioner which is surprisingly the most energy efficient inverter air conditioner in Pakistan that we have ever tested. We got a very consistent reading of 1.5, 1.8 & 2.5 amps from 1, 1.5 & 2 ton capacity units. Their biggest point of differentiation is their after sales services which is by far one of the best. Furthermore, they are currently the only manufacturer that is offering a 2 year PCB card warranty which is also the need of the hour, since the most common complaint that we have been facing in inverter air conditioner is with circuit boards and no manufacturer have come up with a viable solution to this problem. Brands like Daikin, Samsung, LG are facing a serious competition due to their low cost, efficiency, durability and after sales service, and that is why it’s we have ranked it to as the best inverter ac in Pakistan for 2019. Great work out. It’s all about technology game and reputed parts manufactures. I am working for Hyundai but perhaps they are price competitive as require. Thank you danish. Appreciate it. Pingback: What Are The Different Types of Inverter Air Conditioner?